Investors and senior management teams of SaaS/Cloud firms tend to pay close attention to some essential numbers about their companies. 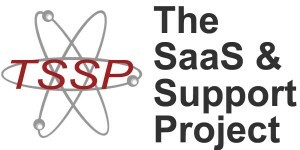 The SaaS model has a standard set of vital signs that are typically used to monitor the health of the enterprise. They include such defined points as CAC, CMRR, LTV — how much did it cost to acquire the customer, what’s the total contracted monthly recurring revenue, and the expected lifetime value per customer relationship? What’s the growth rate of the customer base? And the number of months before reaching the Break-Even point of recouping the customer acquisition cost? While there are some variances, the procedures for calculation of these data points are generally known, accepted — and used. Unfortunately, there are some other numbers and factors that can have a huge impact that aren’t as well attended in the SaaS/Cloud ecosystem. Churn rate. Actual customer retention costs and effectiveness of retention measures. Departure drivers, and the economic and other effects of customer turnover or churn. Organizational efficiency and individual utilization levels. These and other factors can silently drain away the potential for success. To accurately determine these data points, you have to know where, and how, to look closely at the full scope of what happens after the SaaS / Cloud subscription contract is signed by the customer. But knowing the numbers about the retention of customer relationships is not the end, the next challenge is to work with the forces that drive them and the organization so that revenues and profitability can be optimized. Mikael Blaisdell & Associates have been tracking and analyzing the SaaS/Cloud ecosystem since early 2006. Drawing upon over 30 years experience in customer relationship architecture, retention and all facets of contact center management, the company offers a unique set of services and resources for on demand firms and those transitioning to the new model. To find out what we can do for your SaaS/Cloud operation, you’re invited to join us for a complimentary Office Hours session or to contact us directly via email. 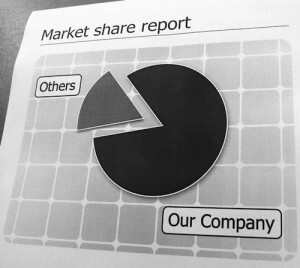 The initial research of The SaaS & Support Project produced a ground-breaking Report at the end of 2009. Available to Research Members of The HotLine Magazine, the downloadable Report covers a range of key issues that affect all SaaS/Cloud companies. The work of the Project is continuing; for more information about the ongoing research, click here.